I shot this during my first ever trip to G-land. 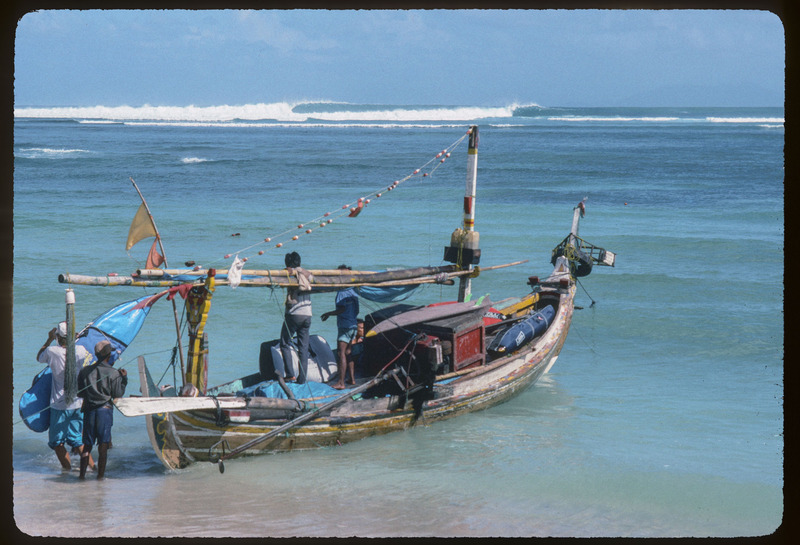 It was a pumping 8 foot gnarly wave and this boat was brining in guys that had been really banged up on the reef. They had holes all over their bodies. I've never seen it that perfect since. This shot made the pages of Surfing Magazine.